Into The Hills –7 Nights discovering the stunning hill country. transport tea and coffee from the hill country to the capital city of Colombo. plantations, majestic peaks and rushing waterfalls. Accommodation in a sharing double room in the above mentioned hotels. On arrival at Colombo airport, you will be met by our chauffeur/guide who will be your driver and companion during your stay in Sri Lanka. Our guides have received a statutory license from the Sri Lankan Tourism Development Authority and are knowledgeable and will be selected so as to be able to converse with you in a language you are comfortable in, and are trained to ensure that you have a pleasant and enjoyable stay. He will take you in a comfortable air conditioned vehicle to Sinharaja via Ratnapura. Ratnapura is the gem city of yore where you can see the panning for gems. You could also visit a gem museum. Overnight stay at Kalawana. Early morning excursion in Sinharaja. Sinharaja – this ancient royal sanctuary situated in the southwestern ‘wet zone’ is first-growth rainforest, now less than 25,000 acres in extent. The Sinharaja is plumbed by footpaths and motor-able roads, and offer visitors a rare chance to penetrate the depths of a genuine tropical jungle. Most of Sri Lanka’s indigenous plant, bird and insect species are found here – endemic and not found elsewhere. It is a ‘World Bio Diversity Hotspot’ boasting 30 metre tall shoreas, land crabs and orchids. Overnight stay at Kalawana. Drive to Nuwara Eliya, the famous hill station (1,800 m). Nuwara Eliya – founded by Sir Samuel Baker – the Nile explorer, among some of Sri Lanka’s most verdant hillsides at 1,800 metres above sea level, is more reminiscent of the days of the English tea planters than any other place in Sri Lanka. This is hardly surprising, for Nuwara Eliya was built entirely during the 19th century and its architecture mimics that of an English country town, with redbrick walls and mock Tudor half-timbering. Though the British planters and officials who found Nuwara Eliya a congenial place to escape from the heat of the lowlands are long gone, Sri Lanka’s well-to-do still migrate to its cool climes during the hottest parts of the year and especially during the Sinhalese New Year holidays in April. With mountain forests, wilderness areas and national parks in easy reach, it also boasts an 18-hole golf course which is Asia’s oldest. Visit a tea plantation and factory on the way. Overnight stay at Nuwara Eliya. Early morning, an excursion to Horton Plains – it’s hike of 4 kilometers one way. Leave for Horton Plains and enjoy the view from 7,000 feet at ‘World’s End’ down to the sea (weather permitting). This 3,162 hectare national park is a complex of enchanting natural beauty of the island, located 7,000 feet above sea level and is best known for World’s End, which on a clear day offers a spectacular view nearly 80 kilometers to the sea. 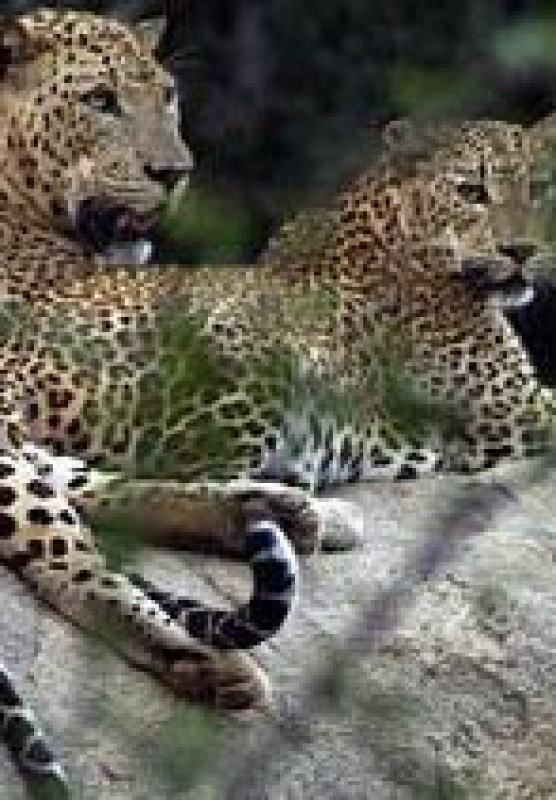 This is also a habitat to leopards, sambhur, deer and some birds: Eagle, blue magpie, wood pigeon, yellow eared bulbuls, fan-tail warbler and white-eye and some 247 species of butterflies, as well as rare orchids, keena (Calophyllum sp) trees and exotic sphagnum mosses, the only one of its kind in the world. 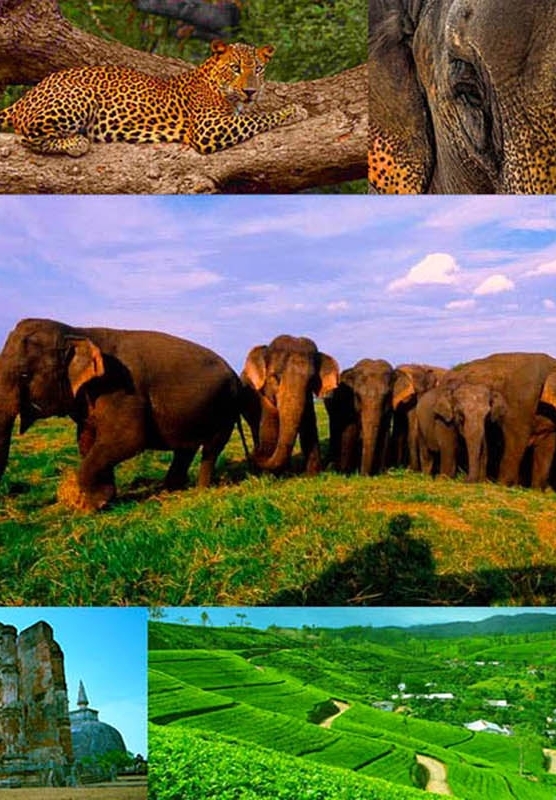 Horton Plains is a watershed of tremendous importance, containing the second and third highest mountains in Sri Lanka. Overnight stay at Nuwara Eliya. After breakfast you will leave to Kandy, Sri Lanka’s last kingdom. Kandy – Centered on an artificial lake built by her last king in the early 19th century, Kandy is a bustling mountain city. The Temple of the Tooth houses the Tooth Relic of the Buddha in the palace compound. The 18th century Royal Botanical Gardens offers an unparalleled variety of tropical plants and crafts shops, markets and the park-like university campus form other centres of interest. In the surrounding villages are mediaeval temples such as Embekke, Lankatilake and Gadaladeniya – with paintings and carved pillars to marvel at. Kandy has a new championship golf course, the marvelous double curvature Victoria dam (hydro electric) and a range of hotels to suit all pursues. Overnight stay at Kandy. After early breakfast, you will leave to explore the Knuckles hill range. This mountain range is separated from the main highland complex by the lowland of the Mahaweli river valley. Most trees are ‘wind-shaped’ due to the dry wind called ‘Kachchan’ that prevails during the southwest monsoon period. In most places, the forest is only 3-4 metres tall. Endemic calophyllum trapezifolium is the most dominant species. Tree trunks and branches are densely covered with mosses and wild pepper vines. You may encounter the Dusky-Stripped Jungle Squirrel and primates such as the Bear Monkey and Macaque. Although they are difficult to spot, you will come across a large array of birds, including endemics such as Yellow-Eared Bulbul, Yellow-Fronted Barbet, Dull-Blue Flycatcher, Wood Pigeon and Jungle Fowl. You can traverse the forest with the hope of finding the endemic lizard – Ceratophora tennenti. Finally, you will reach the famous Corbett’s Gap, where the hikers are rewarded with a breathtaking view from the gap. After a pleasant day of walking and hiking, you will head back to your hotel for a comfortable night. Overnight stay at Kandy. Option: Visit the Royal Botanical Gardens at Peradeniya. 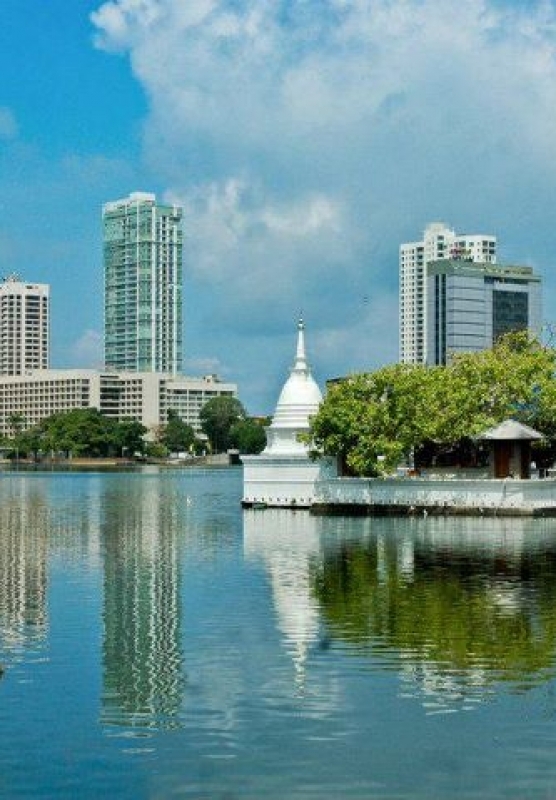 The gorgeous gardens are on the banks of the Mahaweli Ganga and were first planted and laid out for King Kirthi Sri Rajasingha (1747-1780), and cover some 150 acres of trees, lawns and flowering shrubs. The National Herbarium is also situated here where samples go back over 100- 125 years. Under British rule, the royal park became a botanical garden in 1821 and is the largest of Sri Lanka’s three main botanical gardens. Here, exotic crops such as coffee, tea, nutmeg, rubber and cinchona (quinine) – all of which later became important to Sri Lanka’s economy – were tested. Sights include a palm avenue planted by the British in 1905. Option: The Temple of the Tooth is where Buddha’s tooth relic is kept safely. The tooth came to Kandy in 1590. King Wimala Dharma Suriya I built a two-story shrine on the site of the current temple. Overnight stay at Kandy. After breakfast, leave for Sigiriya and climb the Rock. 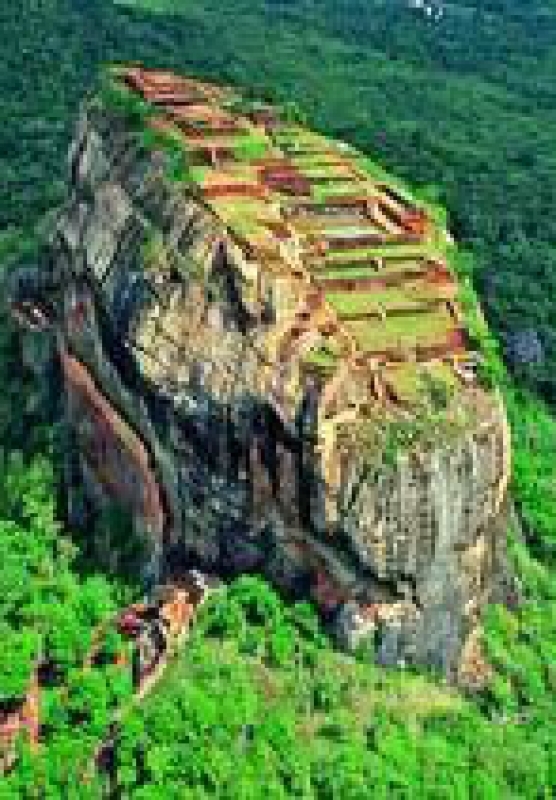 Sigiriya was developed by King Kasyapa, the parricide king. This ‘fortress in the sky’ is a masterpiece of design. Famous for its frescoes, there is much to see including the ‘Mirror Wall’, palace remains, and herb and water gardens. Overnight stay at Sigiriya. After breakfast, leave for the Ritigala Strict Nature Reserve (766 MSL), the highest isolated hill in Sri Lanka. As many as 409 taxa of lower and higher plants have been recorded from Ritigala. Though the height of 766 metres is not of significance, it is the highest ground intervening the central mass of mountain of the island and the hills of South India. Complete isolation and the sharp raise from the surrounding flat country gives Ritigala an impressive appearance. You not only can have a glimpse of nature, but also an experience of ancient culture in Ritigala. Drive to Negombo. Overnight stay at Negombo. Transfer to the Airport for departure for airport.